We hear so much about and are the best selling category of supplements, but what exactly is a probiotic? 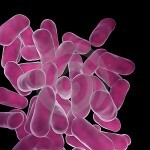 The term "probiotic" comes from the greek "pro bios" meaning "for life". According to the definition of the English researcher Fuller (1989): "The probiotic is a living microorganism that has a positive effect on the health of the host with the result of strengthening the intestinal ecosystem." The ancestors of probiotics were studied by E. Metchinkoff (1845-1916), an important figure in science, who, working at the Pasteur Institute, he conducted his studies on fermented milk, and emphasized the positive action of these products on the intestinal flora. In France in 1906 the company "The Ferments" began to trade a fermented milk "Lactobacilline" produced by bacterial strains selected from the same Metchikoff and some years later, in 1925, the term "youghourt" entered the dictionary "Petit Larousse". So, thanks to the contributions of Metchinikoff and extended his studies, even in the West, the culture of lactic going to anticipate the age of probiotics. The lactic acid bacteria are those preparations containing live bacteria with the function to restore intestinal balance. From the scientific point of view, these products has passed to the concept of a set of actions that probiosis favorable times to the intestine through activities of certain bacterial cultures alive and vital. Today, the term probiotic is widely used in certain foods and dietary supplements. Food / supplements with probiotics are foods that contain, in sufficient number, probiotic microorganisms alive and active, able to reach the intestine, multiply and exert pressure to balance the intestinal microflora. It is, therefore, of food able to promote and improve the functions of the organism. There are microorganisms, however, very different from each other, even if they have very similar names. That's why the foods / supplements with probiotics must bear the label: the full name of the probiotic strain (Lactobacillus casei Shirota example, Lactobacillus johnsonii La1, etc..), The amount of probiotic contained in the product and properly stored. The use of this type of product is especially useful if, for various reasons (such as taking antibiotics, stress, dietary changes, etc..), You have the need to restore intestinal balance. In the classic yogurt bacteria are alive, but not vital, that is unable to reproduce in the gut, thus one should not confuse the common yogurt with probiotics, as the basis for production, it takes different bacteria. The prebiotics as defined Gibson and Roberfroid (1995) "substances are non-digestible of certain foods that stimulate the beneficial action every guest promoting the growth of one or more bacterial species considered useful to humans".It is therefore water-soluble fibers, non-gelling among which the most studied are: non-starch polysaccharide or beta-glucans, fructani, oligofruttosaccaridi (FOS).Prebiotics are non-digestible carbohydrates (fruit and galacto-oligosaccharides), the ownership of which is to facilitate the development of the microflora in the colon probiotic. A "mixture" between probiotics and prebiotics, which is synergistic action on human health, it is called symbiotic. The combination of probiotics, live microorganisms that have a positive effect on the balance of the intestinal ecosystem'', and diprebiotici, ie non-digestible substances that stimulate the action of probiotics promote their growth and development, are born symbionts. I have a symbiotic effect enhanced: the chance of survival of bacteria made is increased by coupling with substrates of selective growth.